Lock in a great price for Pansion Vukovic – rated 9.3 by recent guests! It was a perfect stay for one night. Although basic, the room is clean and neat. Parking is right in front of the house so very convenient. Host is thoughtful and friendly, she kindly loaned me a hairdryer. Check-in and check-out were easy. The restaurant next door (literally) made our dining easy and simple. The home owners were fantastic, so lovely and helpful we were even greeted with homemade lemonade on arrival. The apartment was very close to Plitvice lakes only 5 mins and the property had a lovely garden to sit and enjoy in. Really helpful owners. Lovely garden to enjoy and a small restaurant next door which was convenient and good value. The host was very friendly, the room was really super clean. Close enough to Plitvice Lakes. Hosts were incredible! We loved the location and the property. Great hosts. Great Location. Korana river swimming was fantastič! It was a very cute homestay with the most welcoming and hospitable hosts. 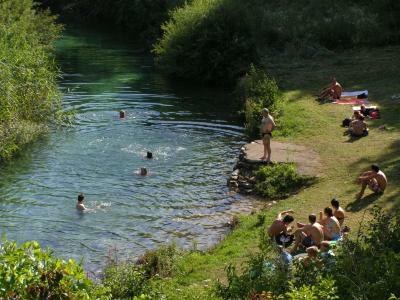 The property is just 5 km away from the Entrance 1 of the Plitvice Lakes National Park. 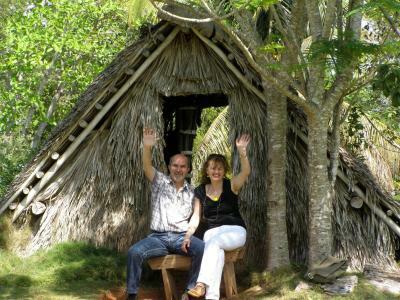 The owners are very friendly and gave us lemonade on arrival and shared all the userful information on which trails to take around the National Park, where the closest supermarket is and where the nearest restaurants are. The supermarket is just a 2 minutes walk and there are 3 restaurants nearby - one is next door, another one is around 300m away while a nicer one is 500m away. The pension is very nice looking. Warm welcome. Good restaurant nearby driving down the valley on the left after the supermarkets. 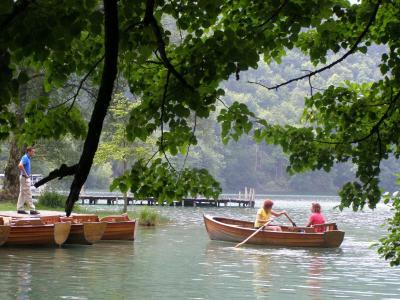 Enjoy Plitvice lakes in the early morning. Location. Very close to a river . Very nice hosts. They offered lemonade and ice cream to us. The host was extremely nice and welcoming. The apartment was comfortable and clean. It was close to the park with restaurants close by. There was also a lake within walking distance that we were able to go swimming at. This place really went beyond my expectations! Our host was also so nice! She brought us lemonade to welcome us when we first arrived. She recommended restaurants and the lake across the street. She also brought us ice cream while we were relaxing in the back yard. There were private parking spaces which was great for us because we had rented a car. Highly recommend this place! Pansion Vukovic This rating is a reflection of how the property compares to the industry standard when it comes to price, facilities and services available. It's based on a self-evaluation by the property. Use this rating to help choose your stay! One of our best sellers in Seliste Dreznicko! Pansion Vukovic is only 350 feet from the shore of Korana River in Seliste Dreznicko in the UNESCO-listed Plitvice Lakes National Park. It offers free Wi-Fi and rooms with private entrances and free private parking. All rooms are air-conditioned and come with satellite TV, a terrace or balcony and a private bathroom with a shower. The guest house has a large green lawn area and deck chairs for sunbathing. 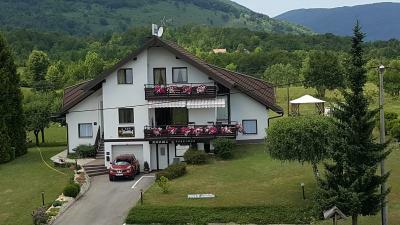 Pansion Vukovic is close to the Degenija, Winnetou and Silver Lake restaurants and there is a supermarket nearby. The closest restaurant is located 20 feet from the Pansion. The national park offers various possibilities to spend your time actively - you can go rowing, rafting, horseback riding, play tennis, paint ball, zip lining or go hiking surrounded by unspoiled nature. When would you like to stay at Pansion Vukovic? Ground-floor room with a private entrance, furnished terrace and views of the river canyon and the mountain. Room with a double bed featuring a private entrance and views of the river canyon and the mountain. It is located on the ground floor and has a terrace. 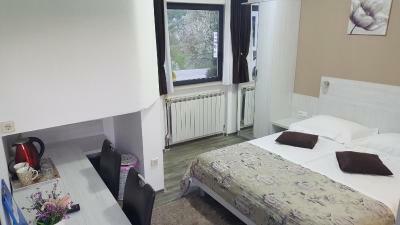 Set in the attic, this studio with balcony offers a view of the Korana River Canyon and the mountain. It also has a kitchenette. 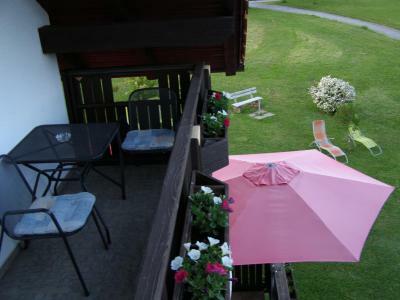 Room with 2 single beds featuring a private entrance and a view of the garden and mountain. Pansion Vuković is located close to the Beach on the River Korana on the top location in Selište Drežničko, close to the restaurants Old Seaterhand, Winner, Degenija, caffe bar Plum, markets Ivka and Plus and Bus station. All the room have private bathroom, separate entrances, free WiFi, free Parking, big garden. House Rules Pansion Vukovic takes special requests – add in the next step! Pansion Vukovic accepts these cards and reserves the right to temporarily hold an amount prior to arrival. It is a very nice property besides the road. There is private parking space and easy for parking. 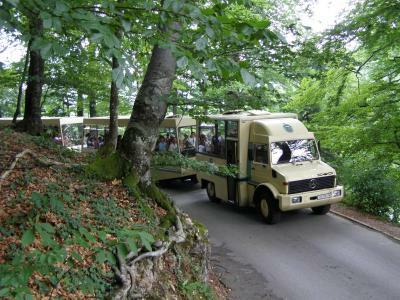 Quite convenient for people driving to Plitvice National Park. Wish there was shampoo. Glad I brought my own. A beautiful apartment with everything you need. Very friendly and helpful hosts. Private parking. 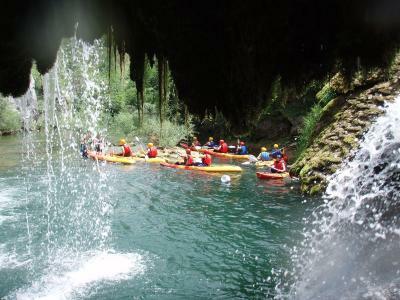 We used it as a base for a two day visit to the Plitvice Lakes. The only disadvantage is that there is no lake!! probably due to lack of rain. but the promised lake and shore with activities was nonexistant, which was unfortunate since we were expecting it. the room was large and clean, with a nice terrace and a great view. the kitchen had all the supplies needed to prepare food. the pension has a lot of green grass around it to lay around with great view. a very warm and greeting owners. has a parking place for each room. 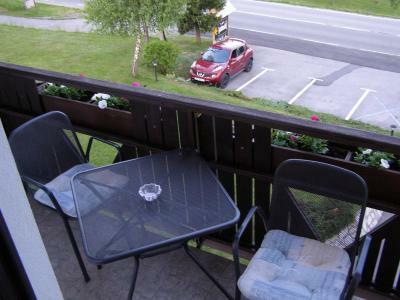 very close to plitvica park and great restaurants nearby. We couldn’t fault this pension. Our hosts were lovely and friendly. The location is great. A very pretty house and very nice room and a lovely garden. Kettle and mugs provided. Free parking onsite. A couple of kms from the entrance to plitvice lakes. A very nice restaurant next door. 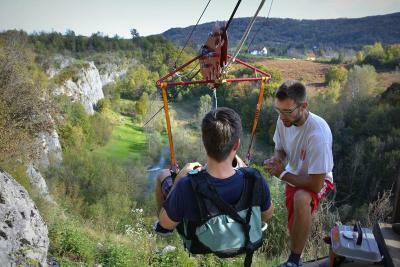 Very friendly and hospitable hosts and a great location for exploring Plitvice Lakes. 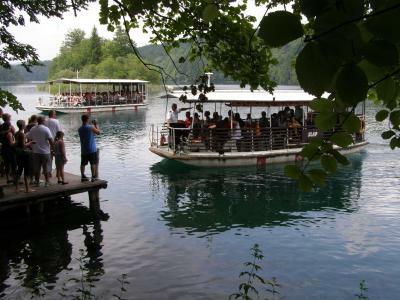 The owners gave us good recommendations about visiting Plitvice and good advice about local restaurants and facilities. Accommodation is located in great surroundings with lovely views to the rear. Excellent stay! The hosts were SO lovely and helpful. We had a lovely studio room with micro kitchen and plenty of space for our two kids. There is a small supermarket nearby and several nice restaurants within walking distance. We loved the back yard space with a place to sit, lounge, drink a glass of wine, and the kids could run free in the grass! We can't wait to come back and again will stay longer next time! The room could have been bigger, no breakfast available at the facility. A convenient place to visit Plitvic national park. The owner is nice and she welcome us with lemonade in the garden. There is a beautiful and big grass behind the house. You can enjoy the sunset in desk chair.